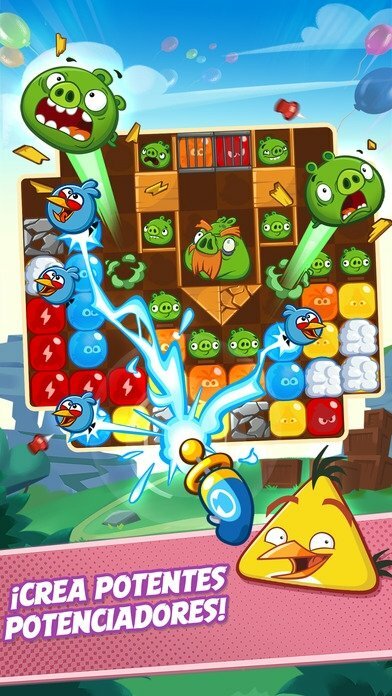 The story of success behind Angry Birds is far from ending. 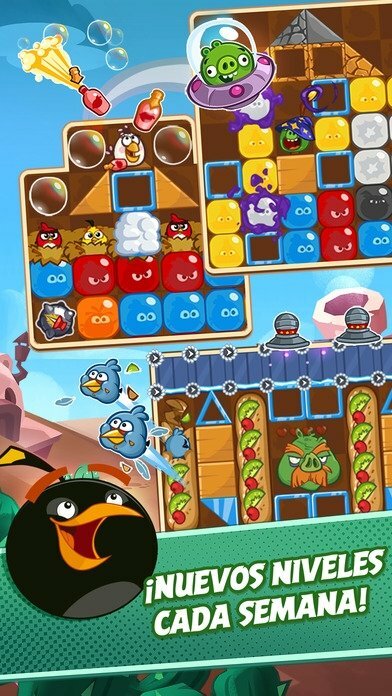 Ever since they released the first game of their franchise some years ago, the Finnish developers Rovio haven't stopped bringing out new titles in different categories: from the original game based on solving puzzles to get rid of the egg-snatching pigs, to racing games, as well as Star Wars based titles, without forgetting about all their merchandise and even a cartoon series. 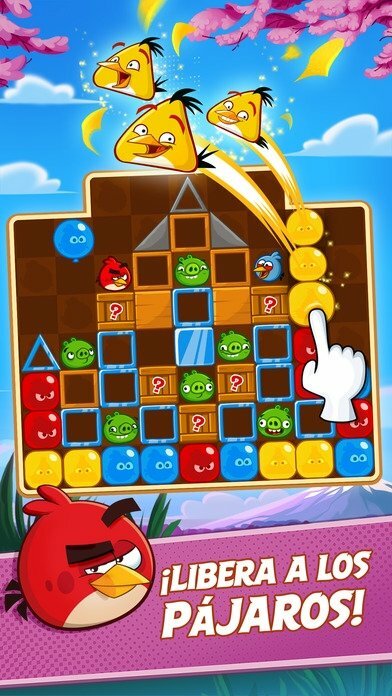 And if there's a successful formula on both Android smartphones and iPhone, other than the gameplay used by these birds back then, that definitely has to be Match 3 games of the likes of Candy Crush and company. And that's what this Angry Birds Blast is all about, with some exceptions. A puzzle about combining elements on a panel, but the war between birds and pigs continues. 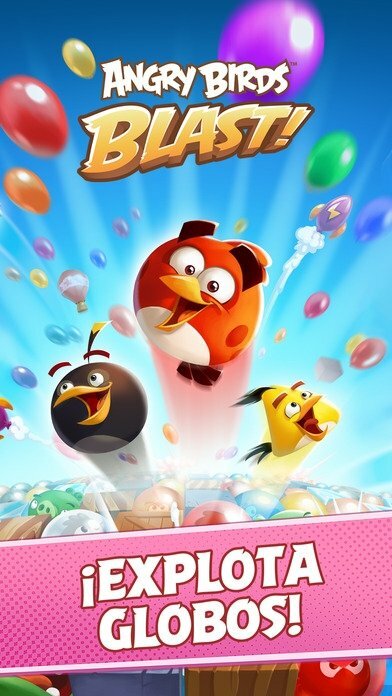 In this new iOS game, the pigs have captured the birds inside colorful balloons that you'll have to combine to be able to release them. 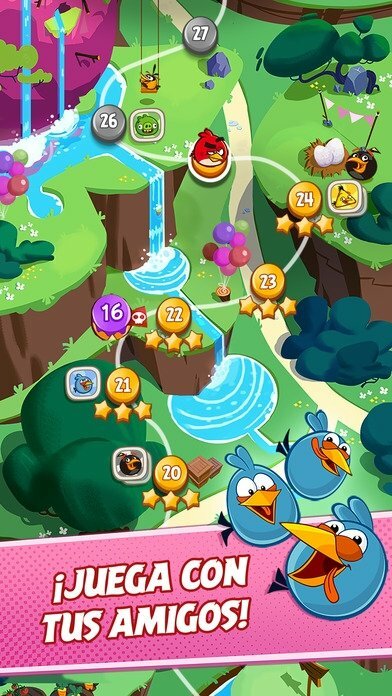 Playing this game is very similar titles to other titles of a similar nature, but not identical: you don't have to match three or more elements, but simply tap on the balloons that have two or more of the same color that are in contact. If you do so, the latter will explode and the rest of balloons on the board will shift. Over 250 different puzzle levels. Match 5 or 7 birds to do special combos. Use power-ups such as catapults, rockets, laser guns and bombs. Take part in daily challenges to win rewards. Play against your friends by means of Facebook. Climb to the top of the world leaderboard.